Electric vehicles used to be the stuff of science fiction, but now they’re viable, cost-efficient, carbon-neutral modes of transport. We recognise the importance of modern technology and environment protection here at Remark Group, which is why we believe that travel shouldn’t harm the earth. Whether you are helping your employees make the switch to Electrical Vehicles or require charging points for retail, residential and commercial developments, our teams can provide the most suitable charging solution for you. Rolec Services is one of the world’s leading specialists in outdoor electrical equipment. They design, manufacture and install an extensive range of products – including electrical connection, charging, hook-up and distribution equipment. Rolec EV are Europe’s largest range of electric vehicle charging stations and equipment. Funded by the government’s office for low emission vehicles, the workplace charging scheme (WCS) provides a grant for businesses to reduce the cost of having an EV charge point installed at their premises by 75%. It is capped at £500 per socket with up to a maximum of 20 sockets. How do I claim the Workplace Charging Scheme? This can be claimed by any business, charity or public authority and your charge point must be installed be an OLEV approved installer (like Remark Group). Your chosen installer will then apply for this grant on your behalf so you can just sit back, relax and enjoy your EV Charge point. Why make the switch to an Electrical Vehicle? 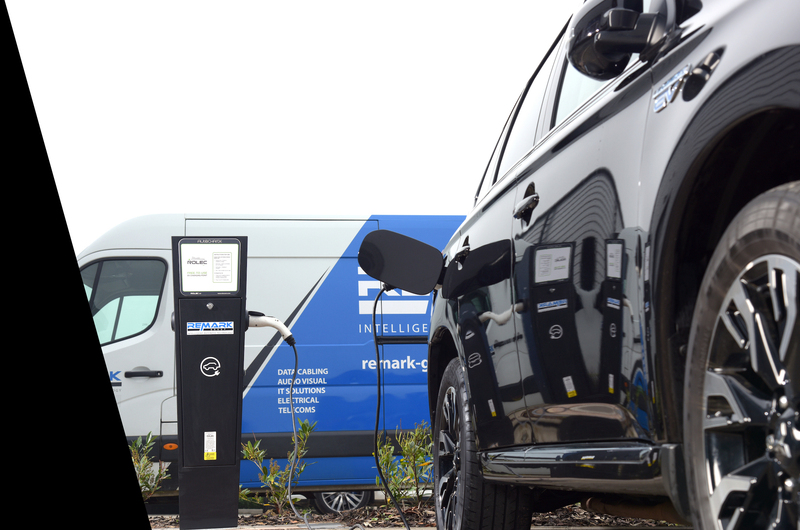 For more information on EV Charging Solutions and to see how Remark Group can make a difference to your business, call 0800 597 5558.